Strategize some meals with foods that are proven to help rev up your metabolism. If you're already inhaling Christmas cookies like it's your job this holiday season, take a moment to wipe off the crumbs from your footie pajamas and strategize some meals with foods that are proven to help rev up your metabolism. "First of all, eating breakfast can make a huge difference in metabolism," says Sarah-Jane Bedwell, a registered dietician and the author of the upcoming Schedule Me Skinny (Penguin Group, January 2013). "Your metabolism is like a fire: If you don't add wood, your metabolism will die down. If you don't eat regularly, your body doesn't have fuel and your metabolism will slow down. Your best bet for breakfast will have carbs, protein, and a fruit or vegetable -- like a bowl of oatmeal with Greek yogurt, and berries. After that, make sure to continue to eat every three to four hours." Green Tea: "Studies have shown that people who drink about 24 ounces per day of green tea burn 70 to 100 more calories per day due to the antioxidants called catechins. I recommend brewing your own green tea because the bottled green tea you find in stores may be diluted with water or have a lot of sugar." Coffee: "Research shows that the caffeine in one cup of coffee can temporarily increase metabolism by 15 percent," says Bedwell. And most people will have two to three cups. Whole grains: "High-fiber foods take your body longer to digest, which helps speed up metabolism due to the thermic effect of food. Whole grains like brown rice, oats, quinoa, and barley are very high in fiber. For packaged foods, make sure that the words 'whole grain' appear in the ingredient label and don't fall for the word 'multi-grain.' Just making small decisions, like choosing whole wheat bread over white bread, really can make a difference." 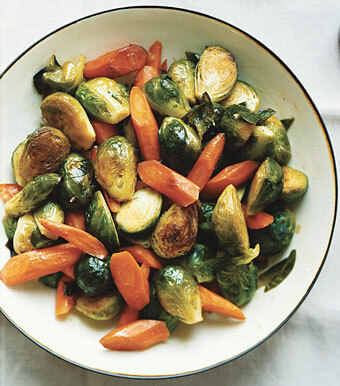 Cruciferous vegetables: Broccoli, cauliflower, and Brussels sprouts are especially high in fiber. "Your body works hard to digest all vegetables, which ups your metabolic rate," says Bedwell. "But don't limit yourself to just these because all vegetables have fiber and your body needs a variety of nutrients." Raspberries: "Any fruits with edible seeds or skin like raspberries, blackberries, and pears are especially high in fiber. Don't worry about the sugar in fruit because it's a natural source of sugar." Chiles: "Spicy foods from hot peppers to chili powder have capsaicin, which has been shown to increase the release of adrenaline and raise body temperature. When your body temperature goes up, it speeds up the metabolism. The kicker is that you need a good amount of capsaicin to increase body temperature, so I recommend adding a small spicy element (like salsa or jalapenos) to each meal instead of a large amount at one meal." Cold Water: "Drinking five to eight glasses per day of very cold water helps speed up the metabolism because your body has to use energy to warm the water back up to your normal body temperature, 98 degrees." 5 Winter Superfoods That Are Cheap and Easy-to-Find Too!